Looking to buy a home? It may be your first or perhaps you’ve purchased one earlier too. Is it an investment decision, or do you see yourself growing old in the place? 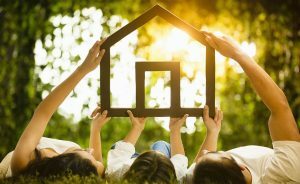 Whatever it may be, buying a home requires diligent planning and financing. It is really not as difficult as it may sound, so long as you manage your EMI efficiently. Schedule your home loan EMI close to your salary day so your account has sufficient funds and you prevent yourself from defaulting due to a lack of it. Skipping EMI payments attracts steep penalties and consistently defaulting might lead to your home loan being possessed by the home loan bank. In contrast, a good payment history reflects positively on your CIBIL Score, enhancing your creditworthiness and helping you in faster processing of your next loan application. Paying a higher amount of EMI every month will enable you to complete the loan period sooner than what you’ve mutually agreed upon with your home loan bank. This will help in not just cutting down on the loan tenure, but also reducing the interest payments. A bank loan EMI calculator is a tool that assesses your existing income to help you determine the amount of home loan that will be convenient for you. It also simplifies the process of calculating interest rates and cash down payments for the many home loan options your bank offers. This way it helps you make informed decisions about the best home loan for yourself. Though the idea of paying an extra EMI every year sounds like a huge challenge, what’s the harm in trying? This will reduce the overall outstanding principal amount and, what’s more, it will boost your CIBIL score as well. Making a cheque payment for your EMI may leave you open to the risk of a payment default due to a manual error, signature mismatch or the wrong date being mentioned. Why not opt for an ECS mandate instead? This allows your bank to Auto Debit the home loan amount every month without your intervention. Linking ECS with your existing or salary account is the best way to keep your monthly EMI repayment sorted, without any chances of defaulting or missing due dates. 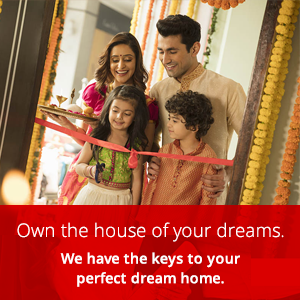 Opt for an HDFC Home and get started! Disclaimer: This blog is for informative purposes only, while HDFC Sales Private Ltd makes an effort to provide the accurate and reliable information about the products, the Company does not guarantee or certify accuracy and completeness of the information. The company shall not be liable for any loss incurred by any person relying on such information. Do you provide complete document checklist to apply for home loan as self employed? Thanks for writing back. Yes, we provide complete document checklist to apply for home loan as self employed.